The impact of Brexit means UK economic growth will be the weakest since the country last faced recession, the British Chambers of Commerce starkly warned. UK business investment will contract by 0.6pc this year and barely grow the next, the Chamber said. Meanwhile, in Ireland, the National Competitiveness Council today warns that rising house prices and congestion are flashing a warning light – ignored before the last crash – that Ireland has lost competitiveness just as we’re becoming vulnerable to the developing crisis in the UK. “The loss of competitiveness in the run-up to the global financial crisis left Ireland particularly vulnerable. That must not happen again,” said Professor Peter Clinch, chairman of the National Competitiveness Council. In its latest report, the Competitiveness Council says Ireland’s competitiveness ranking has declined even as international economic storm clouds gather. At that, the headline figures mask serious threats to Ireland’s competitiveness including over-reliance on a relatively small number of successful firms and sectors. A downturn in the UK will inevitably hit businesses and jobs here. Britain’s economy has slowed since the Brexit referendum in 2016 and there is no guarantee that businesses and consumers will retain tariff-free access to European goods when the UK leaves the European Union, which is scheduled for March 29 next year. Sterling’s weakness is a big issue for Ireland – as it falls, it drives inflation, eating into consumers’ disposable income. That trend ultimately will hit Irish suppliers to UK business. The Chambers of Commerce in Britain said growth in the UK this year is likely to have slowed to 1.2pc. 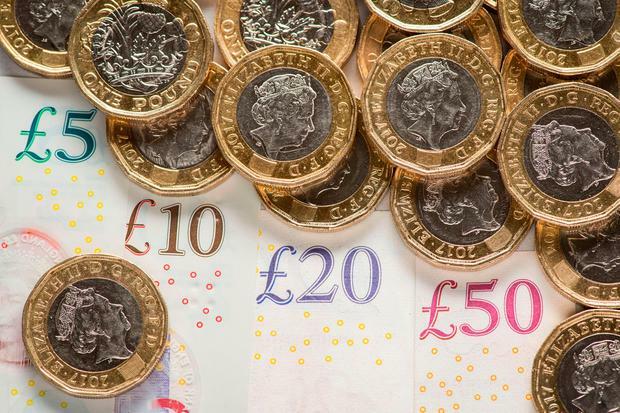 It may inch up to 1.3pc in 2019, however this would be the two weakest years since Britain emerged from recession in 2009. “While Brexit isn’t the only factor affecting businesses and trade, it is hugely important – and the lack of certainty over the UK’s future relationship with the EU has led to many firms hitting the pause button on their growth plans,” BCC director Adam Marshall said.